I came across this video again today and felt that I should share it. When I watched this today it gave me that feeling of such Pride in being part of the Catholic Church and have the blessings to know some Amazing and Spiritual Men of the Priesthood. 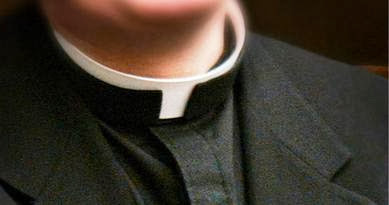 It is a blessing to have and to know some great Priests. I feel that we all need to make sure they know how we feel and that they are needed and wanted. Until tomorrow, God Bless, and remember to Pray and Thank the Priests in your life. a Zuphite from the hill country of Ephraim. son of Tohu, son of Zuph, an Ephraimite. Peninnah had children, but Hannah was childless. were ministering as priests of the LORD. though the LORD had made her barren. that the LORD had left her barren. and Hannah would weep and refuse to eat. “Hannah, why do you weep, and why do you refuse to eat? R. (17a) To you, Lord, I will offer a sacrifice of praise. R. To you, Lord, I will offer a sacrifice of praise. Then they left their nets and followed him.